For me, a G19 Gen4....with plenty of mags and ammo. Magnets and Thermos's--How do they work?!? All pistols should be Glocks. All Glock pistols should be 9mm. All 9mm Glock pistols should be G19s. But with that said, yes a 19. "It's a porcelain gun made in Germany. It doesn't show up on your airport X-ray machines here and it costs more than what you make in a month!" No question...the G30SF!!! Give me 10+1 rounds of .45 hollow point over ANY other round!!! It's a man stopper but still easily controlled! Plus it's fairly easy to conceal. 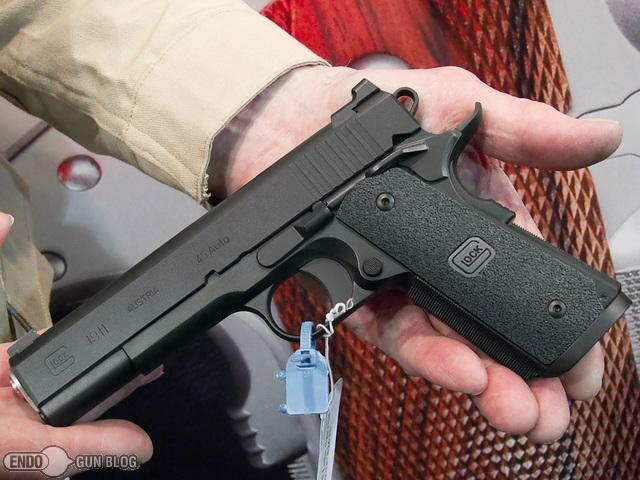 If concealment wasn't part of the equation then It would be the 21SF. However, if I were a man, I'd probably chose one of the 10mm models! Talk about a man stopper!!!! I know the G19 seems to be everyone's favorite, but other than the price of ammo, I really don't get it. I know it has higher capacity, but not by that much. I know that 9mm ammo has come a long way, but it still doesn't compare to the more powerful rounds. Yes, I know about the gel studies. However, even though it will penetrate as deeply as the more powerful calibers, it still won't do nearly as much damage as a .40, .45, .357 or especially the 10mm! I don't want to have to put 10 rounds in someone!! I want it over with using one double tap!! All pistols should be Glocks. All Glock pistols should be 9mm. All 9mm Glock pistols should be G18s. If I could only own one handgun (let alone limiting it to just Glocks) my answer would be the same. Since when did Glock start making 1911's?!?! That's awesome!!!!! If I could buy one that would be it. Since I can't, the Glock 19 is my choice. It's a man stopper huh? Any facts to price it stops people better than other calibers? Same one I own now. Glock 34 gen 3. I do own only one Glock, and it's a gen3 OD frame 19. 19...with a close 2nd to the 17. 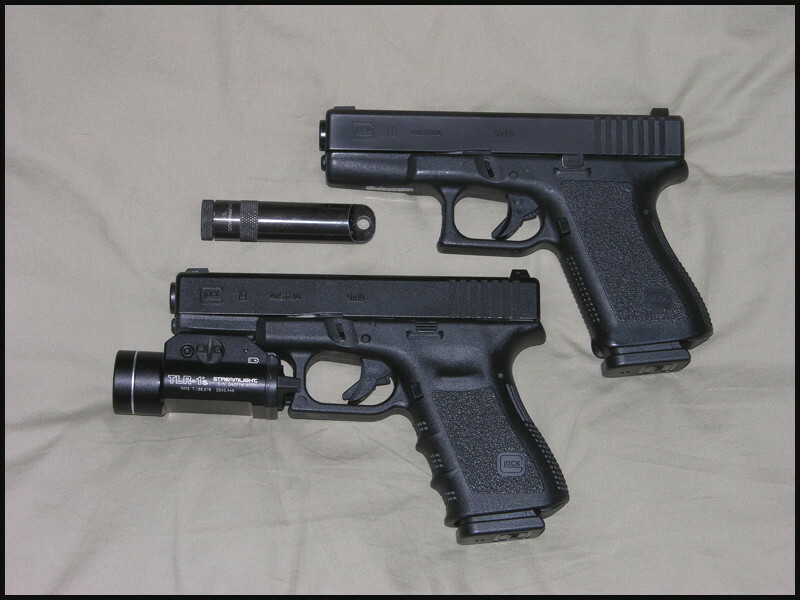 G23 and I'd keep a 9mm conversion barrel around. I own a 17 and a 19, both gen 2. It's a toss up. Probably the 19 but I could be persuaded otherwise. I'd love and enjoy my Gen3 19 more. Gen4 21, my most accurate Glock, plus I simply don't suscribe to the 9mm doing just as much damage. G-21 gen3 a good big gun is always better than a good little one. G23 gen3 as long as .40 is the ammo I'm given. G19 if I was supplying my own ammo in significant quantities. 19 or 34, flip a coin. Gen 3 17 with a 33rd mag. G23. Because you can get extra barrels for 9mm and 357 Sig. Small enough to easily conceal and use the higher capacity mags. for backup. Only one I have which I got two weeks ago. 3rd Gen 17. 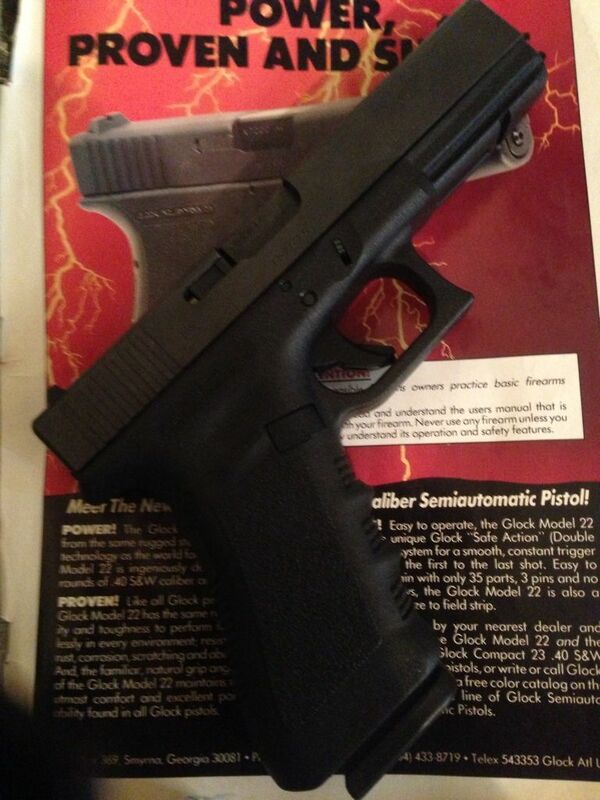 G21SF; the best Glock with the best caliber. A 17 or a 22, still not sure if I like 9 or 40 better but I know I like the 17/22 frames better then 19/23. 19, preferably Gen4 but thats a personal preference.